DURABLE HANGER: 316L stainless steel offers excellent resistance to corrosion in typical exterior environments. USE: Hanger anti-rotation system: textured back keeps the hanger from turning when the anchor is being installed or when it is heavily laterally loaded during use. EASY CLIPPING: The wide, ergonomic connection hole facilitates carabiner clipping. 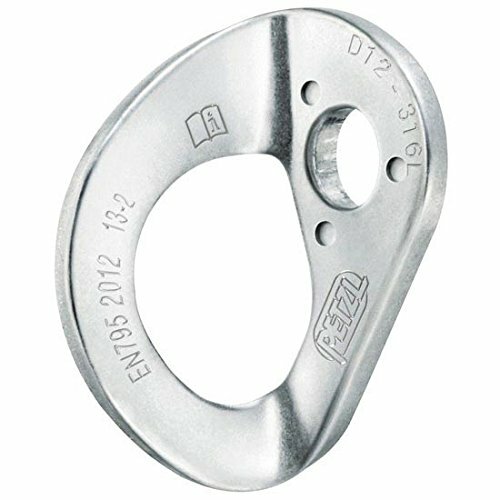 PROTECTS: The thickness of the hanger and the rounded edges of the connection hole limit wear of carabiners. CHOICES: Available for two bolt diameters (10 and 12 mm).